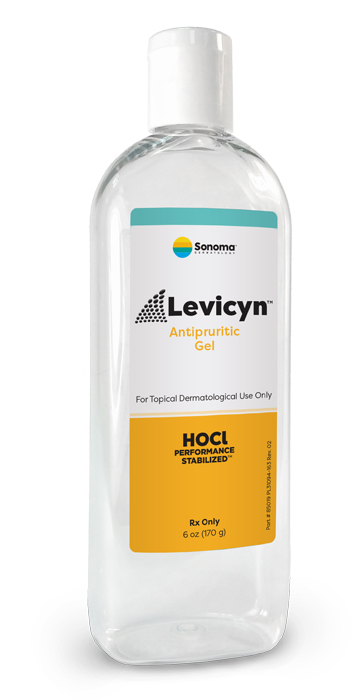 Levicyn™Antimicrobial Dermal Spray is a hypochlorous acid (HOCl) based topical prescription product that cleanses, moistens and removes foreign material. Levicyn™ Antimicrobial Dermal Spray cleanses, moistens, and removes foreign material. 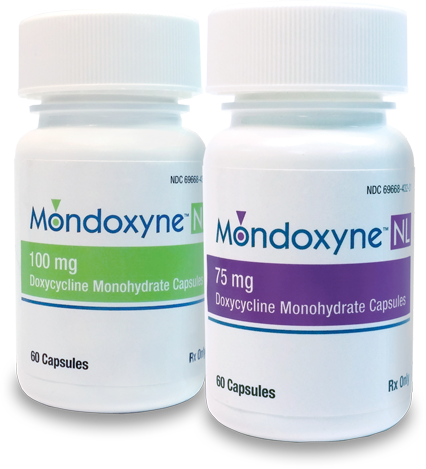 Rx Only-Prescription Medical Device-Caution: Federal Law restricts this device to sale, by or on the order of a licensed healthcare practitioner. Levicyn™ Antimicrobial Dermal Spray is a non-oily, non-foaming, clear, colorless, aqueous cleansing solution for wound care management. It is also for the relief of itch, irritation, and pain from all types of dermal wounds, skin sores, injuries and ulcers of the skin. Remove cap and safety seal from bottle, and replace with enclosed finger pump. Discard cap. Unless otherwise directed by a healthcare practitioner, apply Levicyn™ Antimicrobial Dermal Spray to the affected area two times a day. Sodium Chloride, Sodium Sulfate, Monobasic Sodium Phosphate, Hypochlorous Acid, Water. 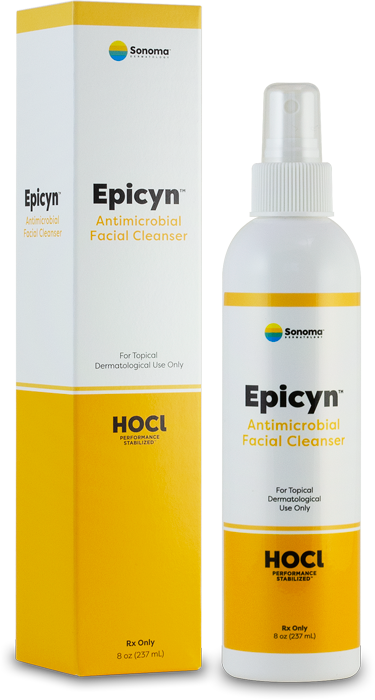 NOTE: The solution contains hypochlorous acid as a preservative to reduce/prevent growth of microorganisms within the solution. Rx INDICATIONSUnder the supervision of a healthcare practitioner, Levicyn™ Antimicrobial Dermal Spray is intended for the cleansing, irrigation, moistening, debridement and removal of foreign material and debris from exudating wounds, acute and chronic dermal lesions including stage I-IV pressure ulcers, stasis ulcers, diabetic ulcers, post-surgical wounds, first-and second-degree burns, abrasions, minor irritations of the skin, diabetic foot ulcers, ingrown toe nails, grafted/donor sites and exit sites. Known hypersensitivity to any of the Levicyn™ Antimicrobial Dermal Spray ingredients. Use only if seal and container are intact and solution is clear. Levicyn™ Antimicrobial Dermal Spray is to be used only as directed by a healthcare practitioner. Do not use to treat any condition other than that for which it is prescribed. If a reaction to Levicyn™ Antimicrobial Dermal Spray suggesting sensitivity or chemical irritation occurs, use of this medication should be discontinued and the prescribing healthcare practitioner consulted. 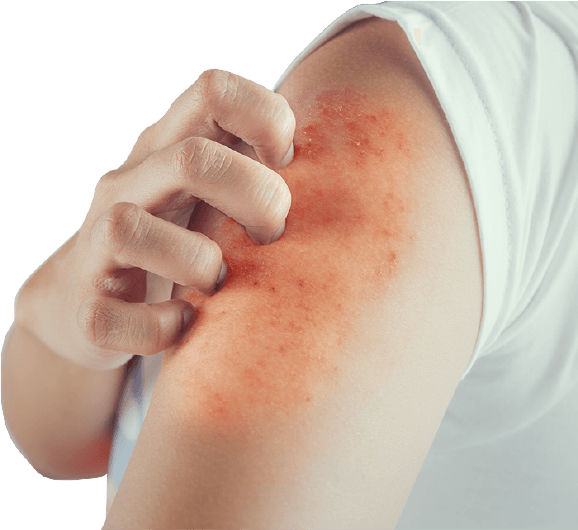 There may be a temporary burning or stinging sensation when first applied to broken skin. See bottle for year and month of expiration. No special disposal considerations required. For irrigation only, not for injection. Store in its original container. Store at 59 to 77°F (15 to 25°C) and away from direct sunlight and heat sources. Do not freeze. 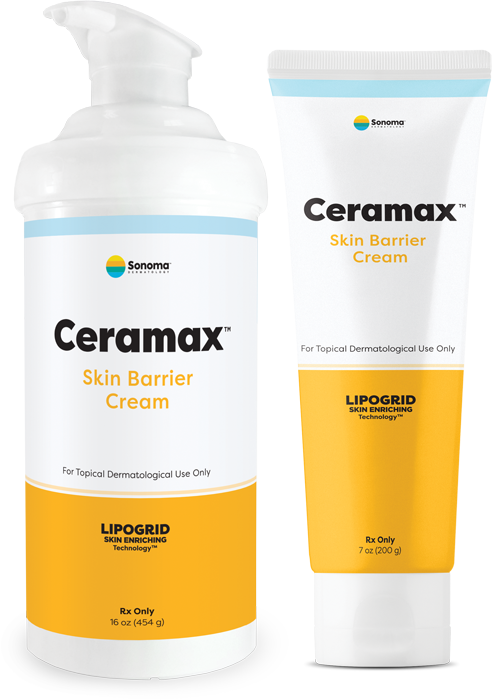 Non-irritating, non-cytotoxic and non-sensitizing. No special precautions required. Enter your information below and a Sonoma representative will contact you. Please note, office testers are for healthcare professionals only.